MENU’s philosophy is simple. We want to make the world better, less complicated and a little bit nicer to wake up to. It’s a philosophy that we’ve been honing over the last five years, building our brand by constantly asking ourselves, “What matters most?” Like my grandfather and father before me, I believe that design matters most when a product is useful, timeless and made from honest materials. At MENU, we’re obsessed with creating clever solutions for modern living and are proud to make beautiful objects for everyday use, be it a single dinner plate or a new dining table. Since MENU began, we’ve not only evolved with the times but stayed one step ahead of the curve. Our spirit of innovation and inherent understanding of people’s daily needs is what has allowed us to develop into one of Scandinavia’s leading design studios over the course of the last four decades. Now, we’ve built a strong universe that’s ready to grow into the future. In 10 years time, we know that the world will be different. The Pepe Marble Mirror is a beautiful object for everyday use. With its clean lines and iconic aesthetic, the mirror takes inspiration from Italian design and architecture of the late 1950s, as represented by masters such as Caccia Dominioni and Gio Ponti. 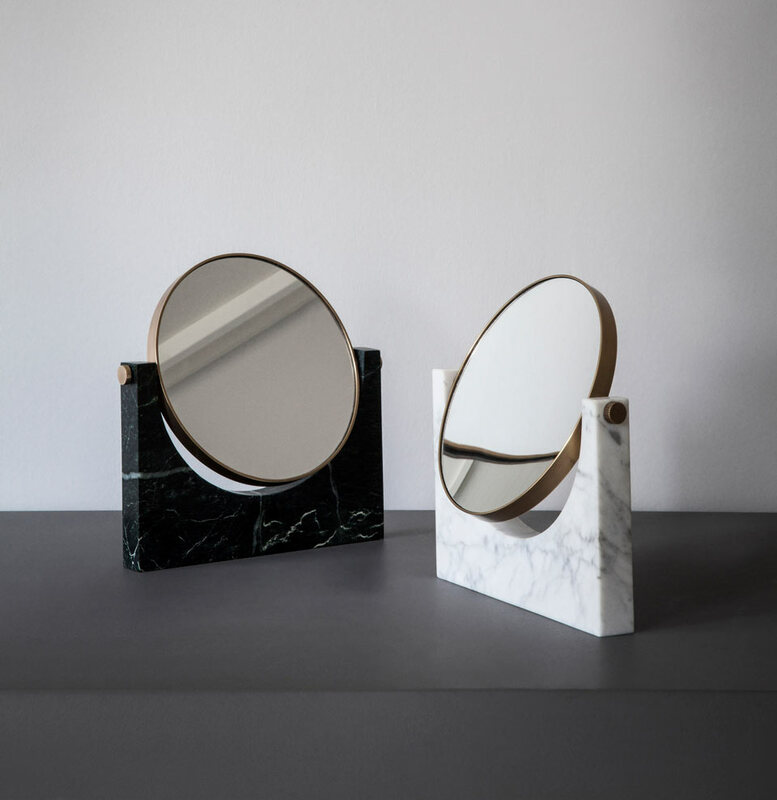 The Milanese design duo behind the mirror, Studiopepe, are obsessed with materials, like marble, that improve with age over years and years. “We believe that a beautifully designed product should last almost forever,” they tell us. l’Opificio See all brands Molteni&C.